Written, with thanks by Jonno Proudfoot of The Real Real Revolution. The Real Meal Revolution is the Founding Partner of The Noakes Foundation. “I am one of the lucky few who had the privilege of writing a book with Prof. I can’t vouch for the meaning he gave his previous projects but when we launched The Real Meal Revolution, he lit a fire in all of us. It was only after about our 30th book signing that I realised how deeply personal this movement was for him. The dynamic changed from ‘just another book signing’ to us ‘charging the battlefield of healthy living’. He wants excellent health for every unhealthy person in the world. Prof’s ability to see the future is astounding. Sometimes he sees the way it should be, and he tries to make it so. Other times he just knows what is going to happen, and he relishes in anticipation. 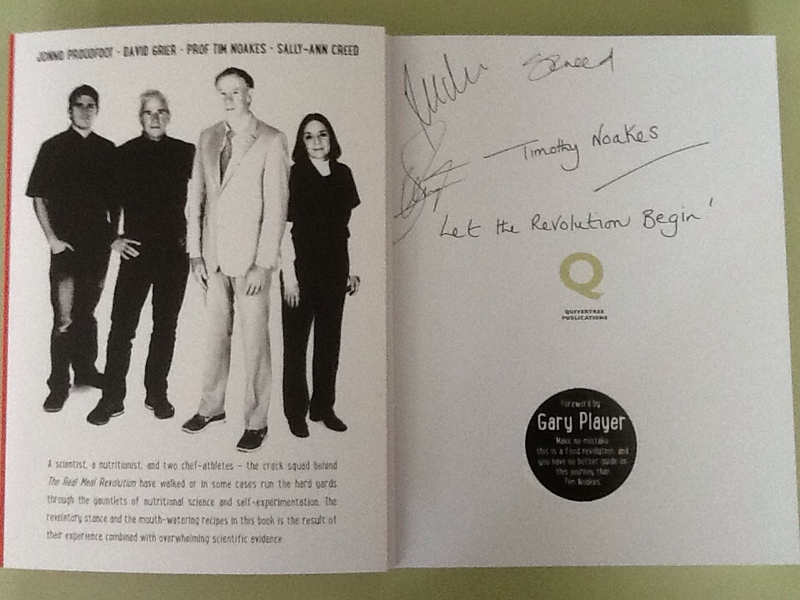 During the week after The Real Meal Revolution was published we received an order for 1000 signed copies. Each author needed to sign 1000 copies personally in the publisher’s warehouse. It took us about four hours each and I was last in the queue to sign. When I picked up the final copy and opened it up, I saw something that gave me insight into what lay ahead, although I had no idea just how profound it was at the time. After four hours straight of signing books, Prof reached his thousandth copy. 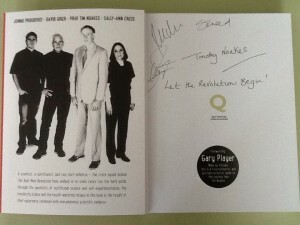 He accompanied his autograph with the words, ‘Let the Revolution begin’.